The Flexi-Van Mk II Intermodal car kit. As trailer-on-flat-car (TOFC) service evolved in the late 50s, many roads began trying to cut costs, opening the door to new ideas. Among these was the Flexi Van system, first tested by the New York Central in 1957. Another system used by some roads was the Clejan Spine car system already produced in N Scale by N Scale Kits. 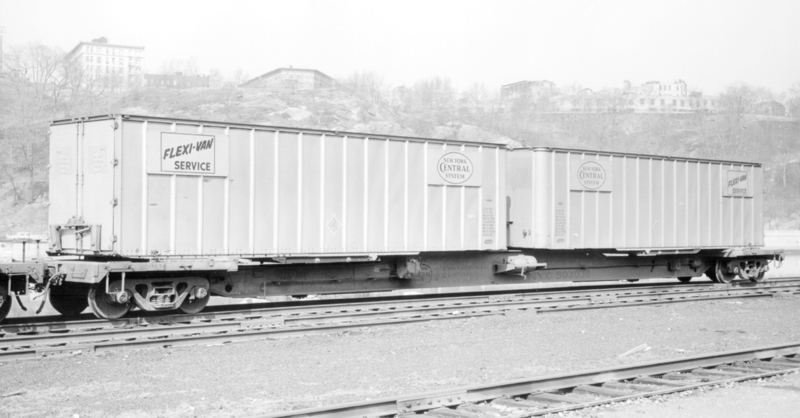 Designed to speed loading and unloading, the Flexi-Van design used a special turntable and a 36' or 40' trailer with a removable wheel assembly called a bogie. In operation, the trailer on its bogie was first aligned with the turntable and backed into place. The bogie was then unlocked and the trailer slid aboard the Flexi-Van car. Once in position, a pin locked the trailer to the turntable, which was turned to the loaded position using the on-board hydraulics. The NYC introduced its Flexi-Van cars and trailers in 1958. These were low profile skeleton cars, designed to meet clearance restriction on the NYC and carry two trailer units. Early cars handled only 36' units, but as 40' was quickly becoming the standard length for highway trailers, the later Mark II models carried a 36 and a 40' unit; some Mark III and Mark IV cars built from 1961 to 1968 carried two 40' units. It is the Mark II cars that N Scale Kits have produced. Lighter and lower than standard TOFC cars, the unique Flexi-Van design proved well suited for high-speed operation and many cars were rebuilt so they could be moved in both freight and passenger service and the system eventually proved most popular for handling mail including head end cars. A number of roads used the Flexi-Van cars including the CB&Q, IC, MILW, WP and more. The rapid rise of containers, the acceptance of industry-wide methods for moving trailers on flat cars and the unusual design of the Flexi-Van system ended the Flexi-Van service by the early 1970's. The N Scale Kit cars is cast in lead free pewter, and therefore has a very low centre of gravity and sufficient weight to track very well even when not loaded. The grabs and steps are in etched brass. 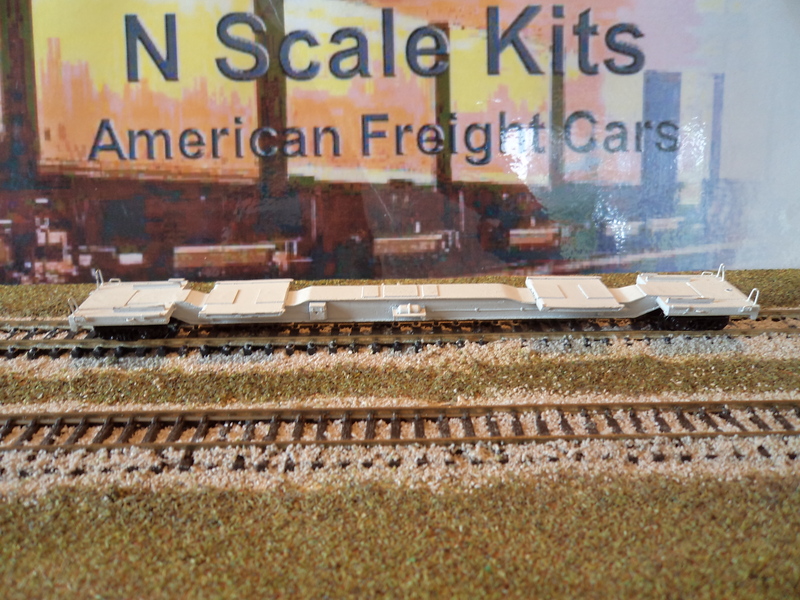 Decals are available for NYC and Milwaukee Road, the main owners of the these cars from N Scale Kits . The N Scale Kits Flexi-Van Mark II car. There is a chapter describing Flexi-Van service in Brian Soloman's book 'Intermodal Railroading' (2007) St Paul, Voyageur Press, accompanied by an excellent series of photographs of loading the FlexiVan containers onto the Mark II Vans by Jim Shaughnessy. are also available for these cars. The standard container and side roller door containers mainly used in Mail Service. There is also a specialized AutoCarrier developed by NYC for the Flexi-Van. This AutoCarrier is also now available from N Scale Kits. in a number of paint schemes. 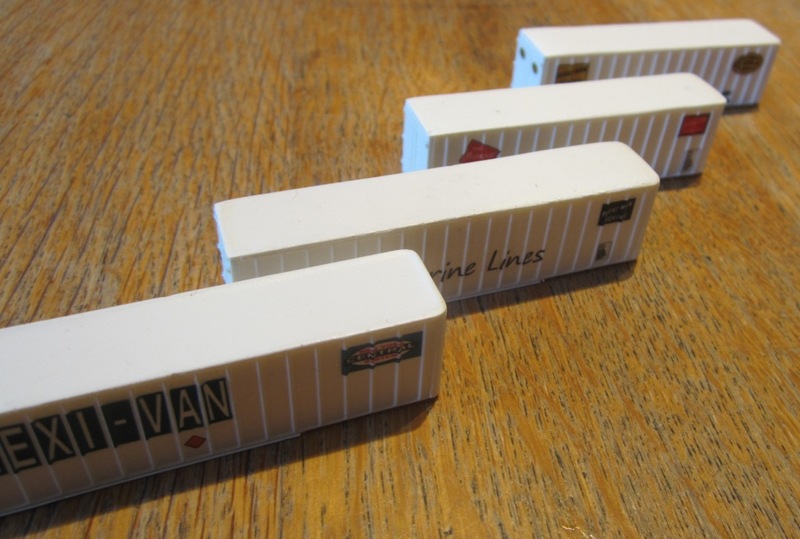 The Flexi-Van container decals available from N Scale Kits.